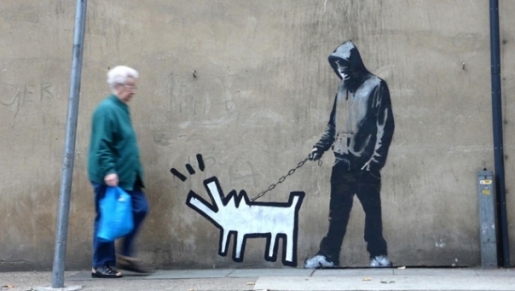 One of the best-kept secrets of the art world is the real name of a British graffiti artist known as Banksy. Far from a simple tagger, Banksy is a pop culture phenomenon because he or she can do with spray cans what most people can’t do with a full paint set and all the technical training in the world. In many ways, building owners hope for Banksy to hit their building as his work actually raises the value of a property. Banksy’s real name is unknown; however, an eBay user is auctioning what he or she claims to be Banksy’s real name on a piece of paper. The auction was up in the million-dollar range before eBay pulled it, saying that information can’t be sold. The auction owner got around this by writing the name on a piece of paper, and then attempted to auction that paper. Once again, it appears that the auction is down, but someone out there says they know Banksy’s real name and they’re hoping to get paid for it.